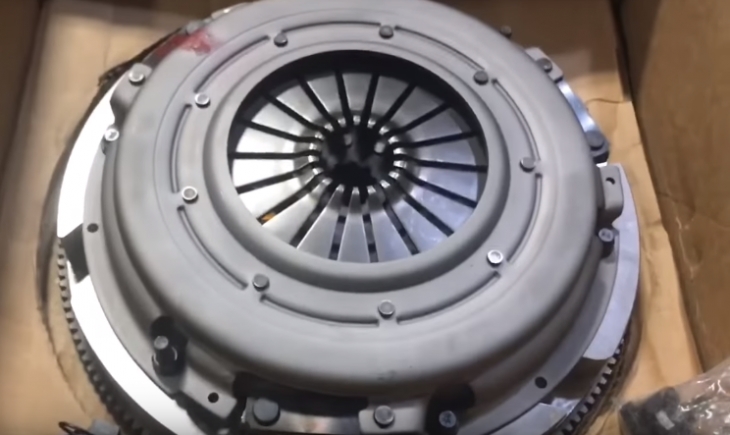 Best Clutch for Dodge Cummins Reviews: Top-5 in April 2019! When you hear the word Cummins you generally think of the Dodge Ram or a 5.9L diesel engine. However, Cummins is much more than just an engine. Cummins is a Fortune 500 company that has over $20 billion in sales and owns over 600 companies and a network of independent distributors. Cummins has split its automotive engines into four categories, and these are Pickup, Light commercial, medium duty, and heavy duty. What the public usually hears of and knows are the 5.9L and the 6.7L Cummins. However, there are more and even within the 5.9, and 6.7 groups are many variants. Before I dive into the clutches of these engines, let’s take a quick look at what engines there are. The Cummins pickup range started out in 1989 with the Generation 1 – 1989-1993 models that used an Inline 6-cylinder, 4-stroke engine with Turbocharged / Aftercooled (MY91.5+) and had a 5.9L (359 in3) Displacement. This was soon followed through with the more advanced Generation 2 – 1994-2002 models that used an Inline 6-cylinder, 4-stroke engine with Turbocharged / Aftercooled, and had a 5.9L (359 in3) Displacement. Now let’s take a look at the five best clutches in their specific application ranges for Dodge Cummins engines. The South Bend Clutch G56-OKHD Clutch Kit is a 13” for use with or without flywheels. This is a 13″ Full Organic clutch kit with or without flywheel and Hydraulics and delivers 425 hp 900 trq with 20k towing capacity. This model is used in all Cummins applications between 2005 to 2017. The Input Shaft Diameter is 1.375 in., and the disc diameter is 13” (330mm). This is an organic material disc with Kevlar and comes with a full face, sprung hub disc style. The pressure plate style is a diaphragm, and input spline quantity is 10. An exceptional choice for most applications from 2005 and above. 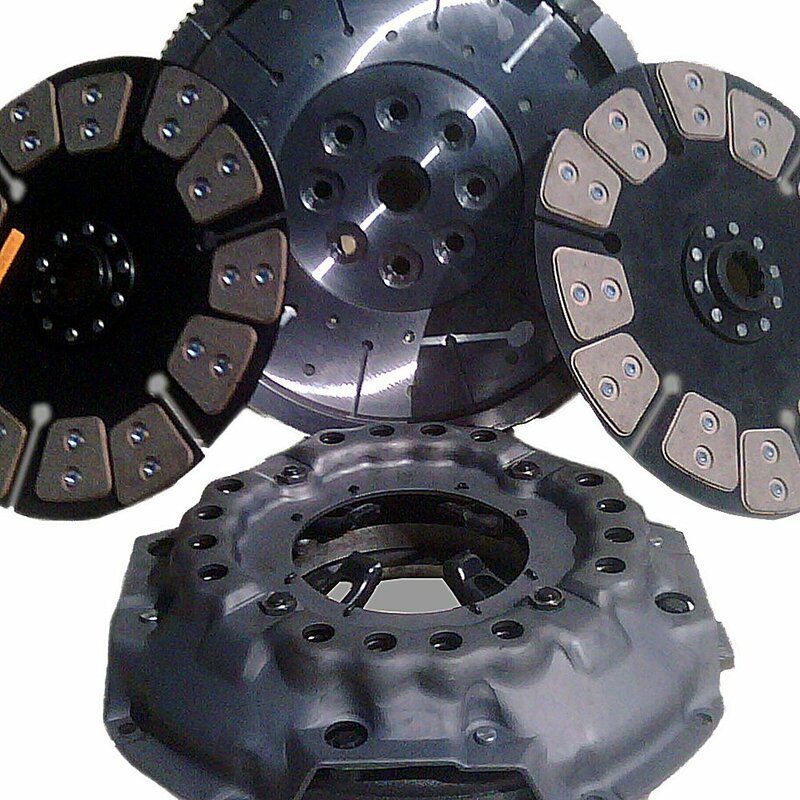 This is a very affordable and reliable clutch that provides exceptional performance qualities. 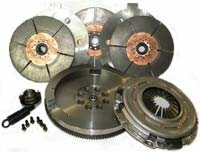 This is the South Bend Clutch G56-OFEK , a 13″ half Organic half Feramic clutch kit with or without a flywheel and Hydraulics. This is an exceptional 13″ clutch kit with or without flywheel and Hydraulics and delivers 475 hp 1,000 trq with 25k towing capacity. This one has a Feramic organic clutch face for extra power performance. This model is used in all Cummins applications between 2005 to 2017 and is a performance upgrade. The Input Shaft Diameter is 1.375 in., and the disc diameter is 13” (330mm). This is a semi-organic material disc using Kevlar and Feramic material and comes with a full face, sprung hub disc style. The pressure plate style is a diaphragm, and input spline quantity is 10. If you are seeking extra power performance, then this is the model you want, it delivers exceptional towing power and can really save you on fuel while delivering exceptional shift control. The Valair NMU70G56-01 is a performance upgrade cloth that is designed to deliver a Rated @ 400HP / 800 ft lbs Torque. This model comes with Brass Woven Organic Facings and has a 13” disc with a 1.375” input shaft diameter and an input spline quantity of 10. This is a full face, sprung hub style clutch with a pressure plat delivering a static pressure of 3,400Lbs. The flywheel is nodular iron. This is a very reasonably priced (budget friendly) model that delivers OEM to stage 1 style power improvement. This is the Valair NMU70G56DDB Dual Disc Clutch ceramic model for 2005-2016 applications. This Valair Performance Competition Dual Disc clutch kit uses a ceramic face and delivers up to an 800HP performance, which means you don’t need more than this for most applications. This is a heavy-duty towing clutch that comes with ceramic buttons. This model comes with a full face, unsprung hub style, with a lever type pressure plate and a standard throwout bearing. The disc is 13” with an input shaft diameter of 1. 375” and an input spline quantity of 10. You also get a billet steel flywheel and a steel roller bearing pilot bushing. If its towing or competition high performance you need, then get ready to dish out a pocketful of dollars for this beast of a clutch. It might be nearly double the price of the Valair NMU70G56-01, but its worth every cent. 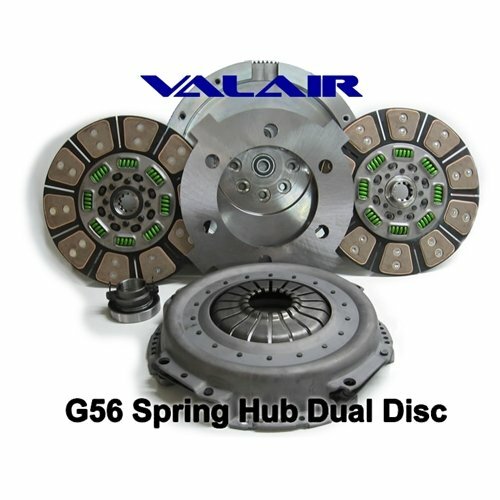 This is the Valair NMU70G56TRIPLE-NW Triple Disc Ceramic Clutch for street performance upgrades. Then you decided you needed to race, so what do you do? You upgrade your clutch to the Valair Street Triple clutch kit. This is the king of the road, and is priced as such, you can get a great used car for this clutch price, but heck, you want your Cummins to sing to a new tune? This is a 12” disc with a 1.37” input shaft and ceramic button disk. Its rated for 1000HP! unsprung hub style clutches with a diaphragm pressure plate with 3,250 Lbs., static pressure. This model comes with a steel roller bearing pilot bushing and a steel billet flywheel. If its street performance and fast controls, then nothing really beat this beast. It is aptly priced because it is at the top of the hill for overall street and competition performance. In 2003 Cummins introduced their Generation 3 – 2003-2009 models which used an Inline 6-cylinder, 4-stroke engine with Turbocharged / Aftercooled (MY91.5+) and had a 5.9L (359 in3)/6.7L (408 in3) Displacement. During 2007 the 6.7L was introduced, and this led to the 4th Generation that started in 2010. The 4th Gen 2016 model is based on the MY 2013.5+ Cummins 6.7L Turbo Diesel. It is the most powerful diesel pickup truck engine on the market, and it comes with Selective Catalytic Reduction (SCR) after treatment that uses Diesel Exhaust Fluid (DEF). The engine’s configuration includes a new cooling system that delivers 25 percent more heat-rejection capacity. A high-efficiency fan, dual radiators, dual transmission coolers, and a charge-air cooler. The MY 2013.5+ engine is also B20 (bio-fuel) capable and comes with a “smart” exhaust brake (Jake Brake). Among the many Cummins models, so also their 5.0L V8 Turbo Diesel which integrated into the Nissan TITAN XD. This Cummins engine delivers 310 hp with 555 lb-ft of torque. The more popular Cummins 6.7L Turbo Diesel engine is found in approximately 75% of all Ram 2500 and 3500 Heavy-Duty pickup trucks. Since this article is about clutches for Dodge Cummins engines, there is no need to review the Cummins engines for the other categories. You need towing power that will handle high gears without slippage. These are the three main reasons, and every Dodge has a different requirement, let’s take a look at the different variants on the market. The first Dodge Ram diesel (D and W) that came out with the Cummins Engines in 1989 came equipped with a standard large 13″ cast iron clutch. This was replaced by a more inexpensive 12-¼” stamped steel clutch that bolted to the existing flywheel without modifications. This clutch delivered the same torque as the first 13″clutch. 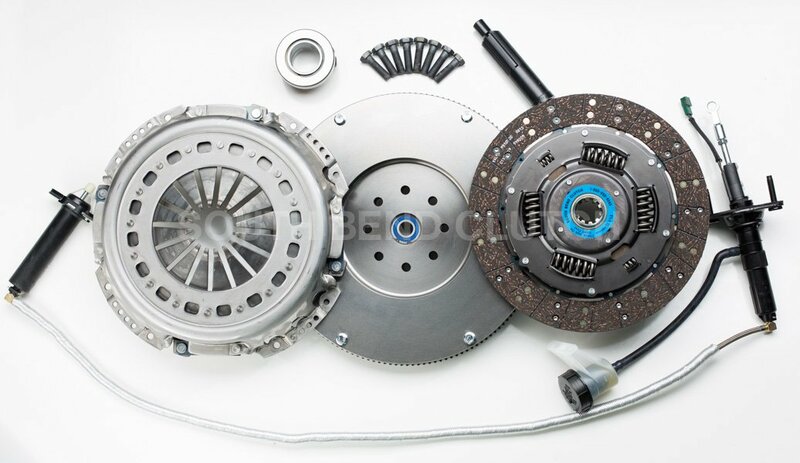 Between 1994 to April 2005, the OE clutch used a solid flywheel, this can be easily replaced or resurfaced. Within this time frame, there were two transmission changes; the first transmission used was between 1994 to 1998 and had the New Venture NV4500HD 5-speed transmission that uses a 12¼’ clutch. The change came in 1999 and continued to April 2005, where they used the New Venture NV5600 6-speed transmission instead. This 6-speed option came with a 13″ clutch that increased the torque from 450 lb-ft. to 600 lb-ft of torque. Between 2005 and 2015, Dodge integrated a Dual Mass Flywheel clutch which was introduced to provide a more car-like feel and sound to the stickshift operation, and it also reduced vibration significantly. There were issues with trucks that got upgraded around the Dual Mass Flywheel (DMF). Essentially, the OE engine torque capacity rating is managed well by the clutch. However, when you modify this and increase the torque, you add pressure onto the DMF, and it ends up wearing out very quickly. In fact, there were many reports of clutches wearing out around 40K miles. The solution to this issue is simple, all you need is a Solid Flywheel Conversion Kit. These kits provide a number of advantages which includes added torque. The only downside in converting to a single mass flywheel clutch is the vibration is no longer muffled, and you will feel this through the transmission. Molded Facings, inexpensive and lack strength. Woven Facings usually use fiberglass yarn woven into the material to increase strength. The woven organic clutches are stronger than the moldedones, and are the most common OEM materials. These are similar to organic but come with a higher metallic content to assure better heat resistance and performance. Heavy-duty organic clutch facings feature more metallic content, which boosts heat resistance and are usually used for towing, hauling, and street performance applications. Called ceramic clutch button, these are great racing performance materials where you need constant engagement and disengagement performance. Ceramic clutch buttons are made from a mixture of copper, iron, tin bronze, silicon dioxide, and/or graphite. These clutches are designed to withstand high temperatures, and as such are perfect for racing. Kevlar® and Twaron® are trademarked names for para-aramid fibers. 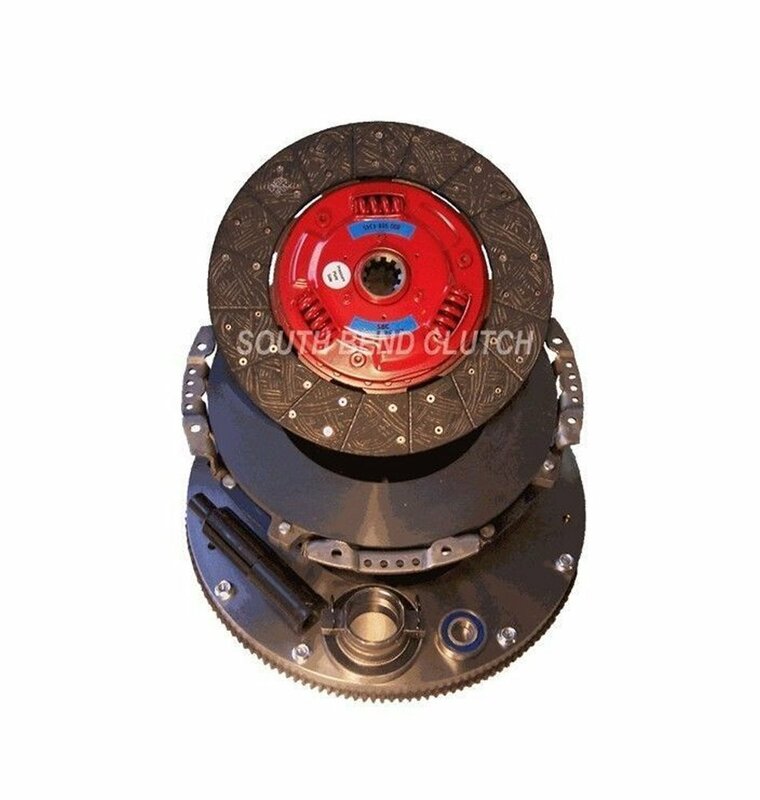 These clutches have doubly to triple the life capacity of a standard clutch. They are also very smooth in terms of engagement. Feramic is a racing clutch material and is made from a combination of steel, silicon dioxide, tin bronze, and graphite. These come in either full face or button configuration. They have a high coefficient of friction and a high static-to-dynamic ratio, making them perfect for racing conditions. The truck version is called a Carbotic clutch. Fermalloy is a recent development as is expected to replace ceramic clutches. These materials provide a much better static to dynamic ratio than ceramics.